I admit I was surprised when I read in The Sunday Times travel supplement a year ago that the Sultanate of Oman was recommended by the newspaper as one of the top 10 places in the world to spend a holiday. I had not heard of Oman being a promising tourist destination before I read the article. I thought that Dubai of the United Arab Emirates was the only Arab Gulf city witnessing a tourist boom with its vast stretch beaches, skyscrapers, shopping malls, deluxe hotels, conference rooms and sophisticated ballrooms besides its well paved roads, enormous airport and the quality service it offers to tourists. However, the moment I set foot in Oman’s airport, Al-Seeb International, I felt an exclusive travel experience coming up in a country that doesn’t look like any other. A mini-van was waiting outside the airport to transport us to the hotel, Muscat Crown Plaza, about 25 minutes from the airport. On the way I saw a country with a distinctive character with its wide roads, its three- and four-storey white buildings with their Islamic architecture, its mighty mountains embracing the buildings, roads and gardens, its greenery — where in an arid country there shouldn’t be — which covers everything around, as well as hundreds of birds flying here and there relaxing on trees or on the ground or at a home window sill. 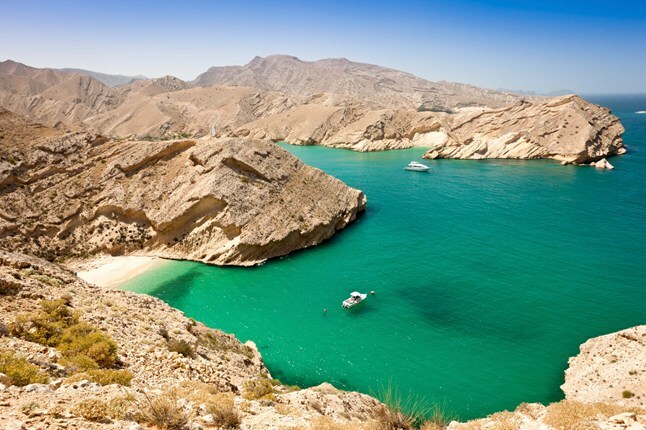 So what can Oman offer travellers? Its deluxe hotels and the high standard of service they offer; its vast virgin beaches overlooking the Arab Gulf and the Indian Ocean; its old souqs that sell traditional craft, old silver, spices, embroidery and incense; plus modern malls that offer the latest international brands of clothes, watches, sunglasses, jewellery; and above all its clean air, its slow pace, its quiet and its warm people. Besides hotels, souqs and beaches, Oman is privileged to have a unique environment. The shimmering blue ocean holds a wealth of marine life — exotic fish, dolphins, turtles and some of the best coral formations in the world. If you drive a few hours from the city centre you’ll find yourself transported into a different world, from rose gardens perched atop mountains, ancient ruins, blowholes, one of the largest subterranean chambers in the world, to misty mountains and the undulating splendour of the desert. Wadis and lagoons in Oman are home to hundreds of species of resident and migratory birds. 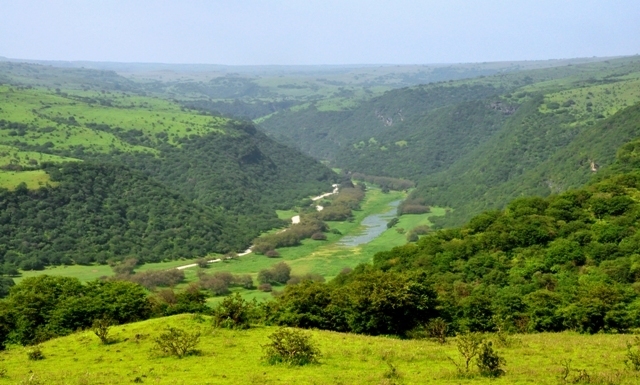 When Muscat gets hot and humid in the summer, it is the other way round in Salalah, 1,000kms to the south. Towards the end of June each year, as the khareef season begins, the southern city of Salalah is almost magically transformed. The dull browns are replaced by rolling green hills, misty woods and sparkling mountain springs. Temperatures drop to a comfortable 30 degrees Celsius making Salalah a perfect place to escape the summer heat. 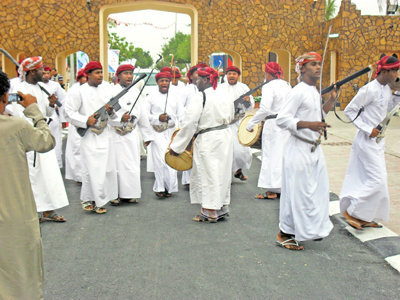 Every year, Salalah hold the khareef festival in July and August where visitors enjoy the picturesque landscape and are entertained by folklore dancing. History also lies all around you in Oman. This is not surprising as Oman, which lies in the southeast corner of the Arabian Peninsula, is the oldest independent state in the Arab world. At one time it had its own empire, which at its peak in the 19th century stretched down the east African coast and vied with Portugal and Britain for influence in the Gulf and the Indian Ocean. The ancient ramparts of Bahla Fort, now a UNESCO World Heritage Site, is among the most important historical sites in Oman in addition to the carefully preserved Jabrin Castle dating from 1670 and the site of Bat, with neighbouring sites forming a most complete collection of settlements and necropolises from the third millennium BC. 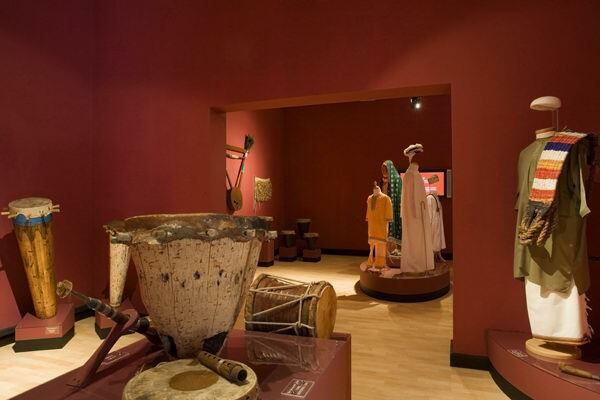 Museums in Oman are also a big attraction. Bait Al-Baranda and Bait Al-Zubair in Muscat are two examples of how Omanis are trying to preserve their culture and heritage. 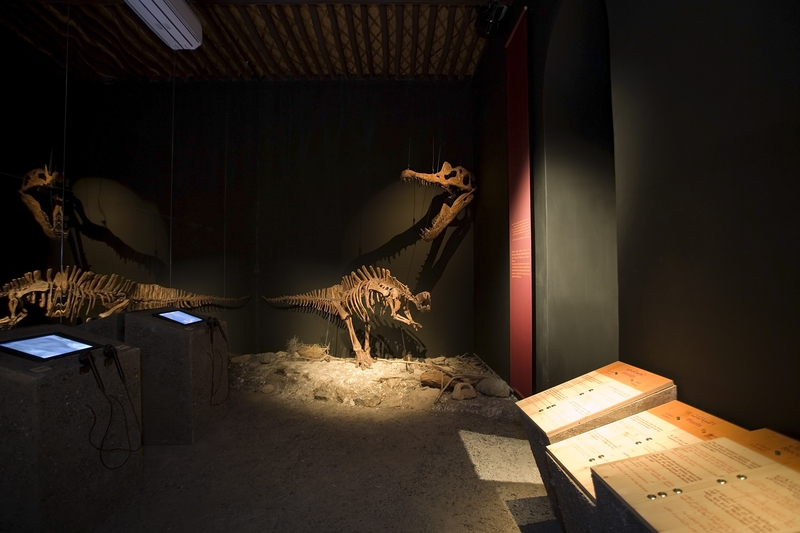 The former is a visitor’s centre detailing the history of Muscat over a hundred million years ago to the present. It has sections dealing with geology in Oman (plate tectonics and scenic diversity in Muscat); ancient life in Muscat; earliest human settlements in Muscat from 10,000 BC to the early Islamic era; Muscat from the first century to 1744 AD; and Al-Bu Said Dynasty. Besides being a visitors’ attraction, Bait Al-Baranda also hosts local and international exhibitions, lectures and other cultural activities. Bait Al-Zubair is also an integral part of Oman’s heritage. 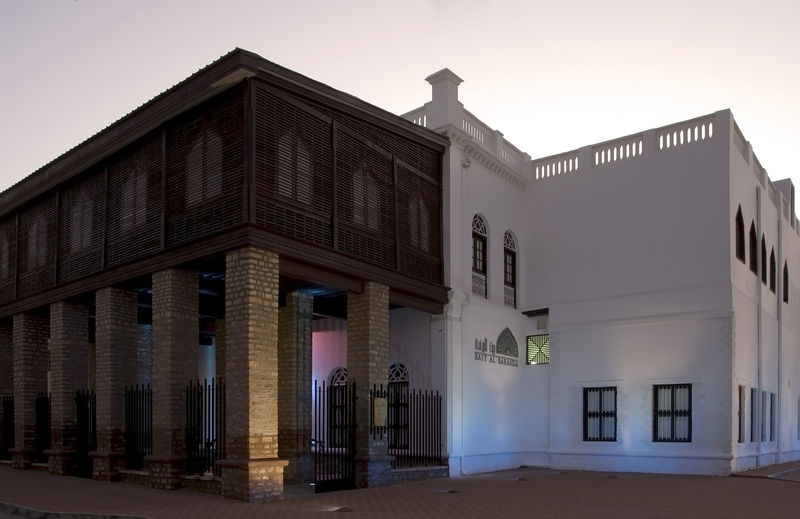 Built first as a home in 1914 by Sheikh Al-Zubair Bin Ali, it was opened as a museum in 1998 by his son Mohamed to display aspects of Omani heritage either inherited or collected. Its displays include traditional Omani weaponry, jewellery, costumes, domestic utensils and recreated urban and rural environments. 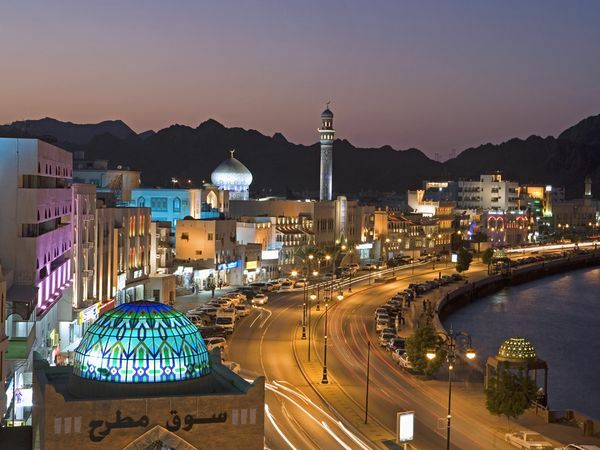 Omani officials say their tourism is still a new industry. It started in the early 1990s but is developing quickly. In 2006, Oman received over one million tourists who contributed to one per cent of the total national income of the country. 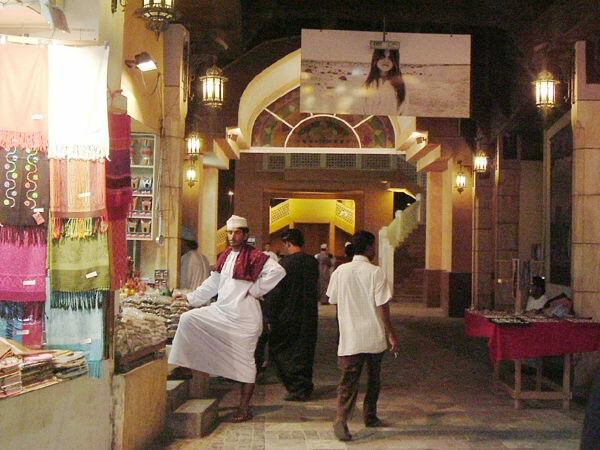 Cultural tourism is the number one way of attracting visitors to Oman, especially the kind it is targeting. “We have 14 UNESCO World Heritage sites that date before Christ. We have more than 500 fortresses and we are turning some of them into museums, each with a different theme. We are also thinking of turning some of them into hotels following the old Roman style. Some are already being used as open air theatres,” Al-Tobi said. Besides culture and history, Oman has nature, geology and adventure such as mountain climbing, bird watching, watching dolphins, whales and turtles, old caves and curative tourism. 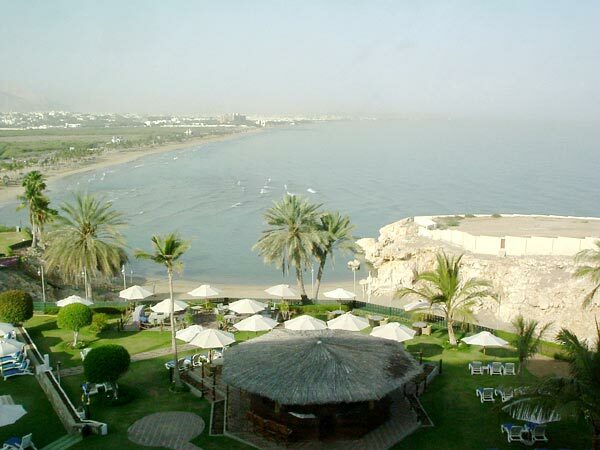 Muscat has only six five-star hotels that target the middle and upmarket business and leisure tourists. Since 1999, Oman has been attracting big chains such as the InterContinental, Hyatt and Radisson. In the next few years it will attract small brands as well as budget hotels.